Bond 23 now has a release date! In the U.S. on November 9, 2012 we will finally see Bond return. Bond fans can now see Daniel Craig shootin’ up aliens alongside Indiana Jones himself Harrison Ford in Cowboys And Aliens. Inevitably, during the films promotion Craig was asked about the status of the next Bond film and he had some encouraging news to tell fans. Craig has gotten the script for Bond 23 and says he’s more excited about it than he was for Casino Royale and believes it will result in a “classic” 007 movie. The film will be a reunion of sorts for Craig and director Sam Mendes who is set to helm the film. They previously worked together on 2002 film Road To Perdition. Craig seems to be very enthusiastic for Mendes to be at the helm of a Bond film. He said: “I think it’s a great choice because Sam has a fervor and energy to really direct a Bond movie with a capital B. Fans expecting to see the return of Q might be disappointed it sounds. Craig said the new film would continue with the trend of his previous two and be light on gadgets. “Trying to find something that’s new and interesting is really difficult….mostly technology is in the public arena now or some type of it,” he said. There is still no casting announcements. We can all expect to see Judi Dench return, but other than that every name you might read connected to the film is still just rumored and nothing has been confirmed by EON films. 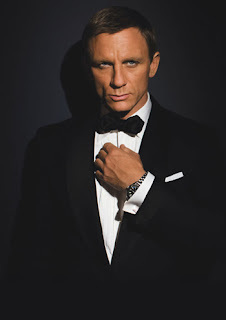 Production on Bond 23 is scheduled to begin sometime later this year. Still after last seeing Craig in Quantum of Solace three years ago and the delays in the production of Bond 23 film since then, this is all promising news and is the first real positive signs that the next Bond film is underway. Until then I might check out Cowboy & Aliens. It kind of look like it could be a fun, goofy summer film. Plus, seeing James Bond AND Indiana Jones in a movie together that has to count for something. Last time that happened was way back in 1989 when Sean Connery played Indy’s father and that pairing worked out pretty nicely.